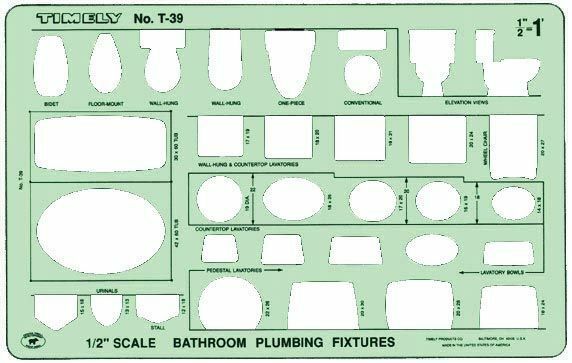 Features toilets tubs urinals and lavatories in ½" scale. * Size: 6¼" x 9-7/8". 9.78" x 6.25" x 0.02"